Search For "Transportation & Shipping" Companies in Atlanta, Georgia - Click Here Now! 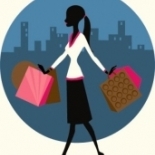 We Provide A Personal Assistant/concierge Service To Business Owners, Single Parents, And Elderly. We Offer Affordable Services To Stay Competitive In Today's Market. We Provide The Following: * Administrative/technical Assistance * Grocery Shopping * Pharmacy Prescription Pickup And Drop Off * Daycare Drop And Pickup * House-sitting Service * Bill Pay * House Cleaning * Pet Sitting, Walking, Groomers Appointment * Dry Clean Pick-up/Drop-off, Laundry * Home/ Office Organization * Transport Service: Dr Office, Business , Special Event JUST ASK!!!! Render Yourself Errands & Concierge Service in Atlanta is a company that specializes in Transportation Equipment And Supplies, Except Motor Vehicles. Our records show it was established in Georgia.